Here we go. My secret kitchen weapon is about to be exposed. 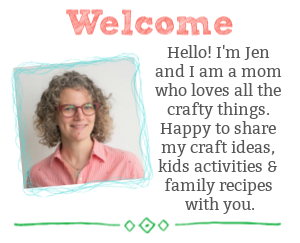 Soups and stews! 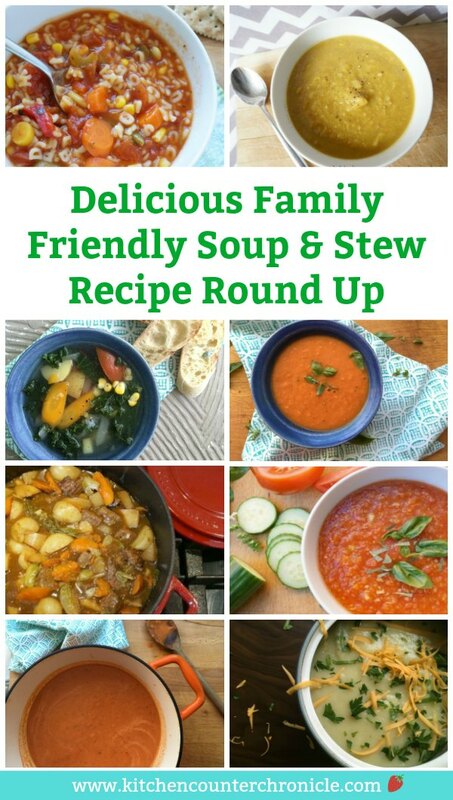 Yep, soups and stews are simple go-to meals in our house. We fill our lunch box thermoses with soup. We gather around a bowl of stew on a cold day. 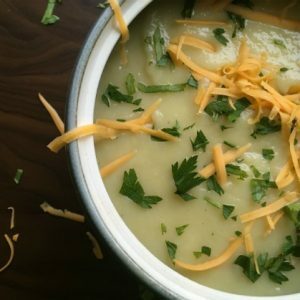 In the summertime we still eat deliciously refreshing chilled soups. 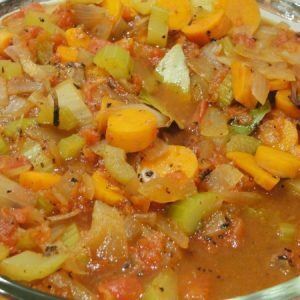 Soups and stews are a fabulous way to use up leftovers. 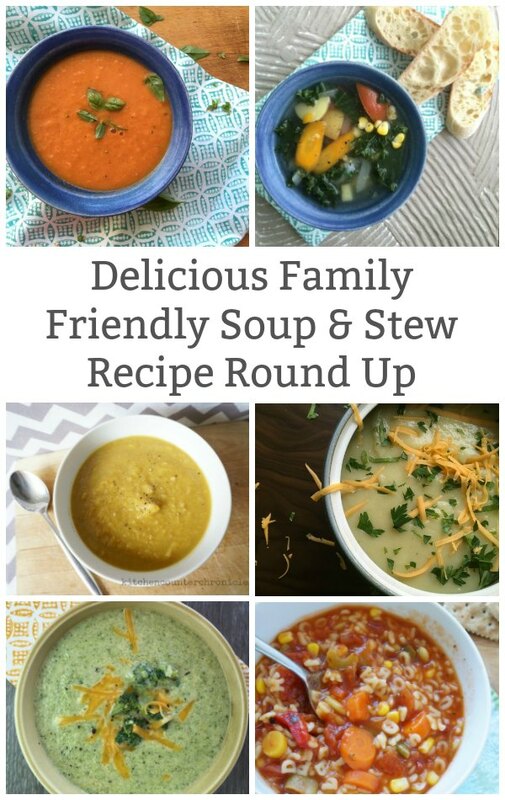 Soups are a simple way to squeeze in healthy vegetables. There is a reason why soups and stews are considered a comfort food. 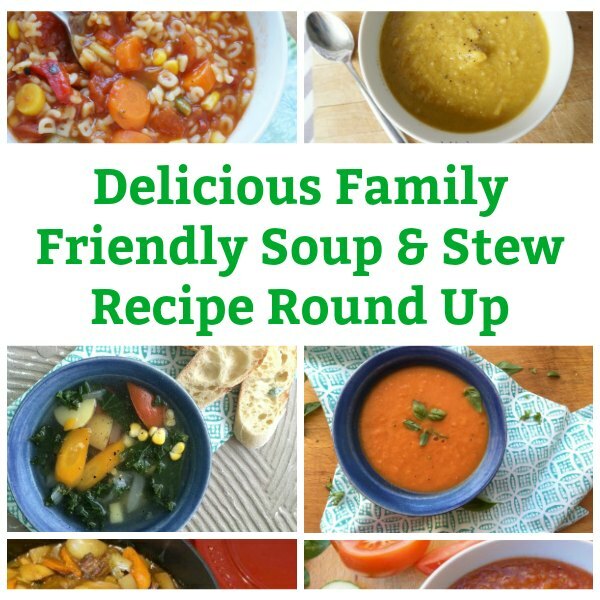 So, we’ve gathered up all of our absolute favourite family friendly soup and stew recipes. Which one will you try first? 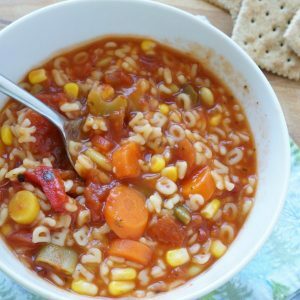 Spell your name with a tomato soup based alphabet soup…a fun soup for kids of all ages. Yummo! 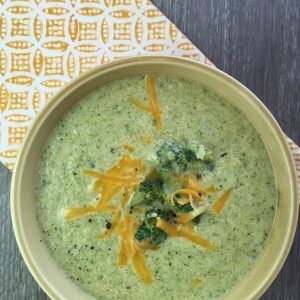 Gotta love this classic combination of broccoli and cheese. 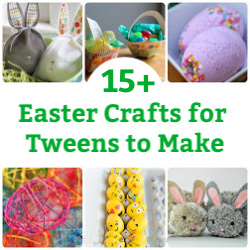 Kids go crazy for this one. 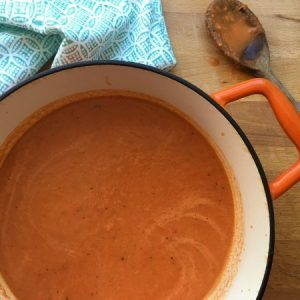 All the flavours of fall come to life in this hearty beef stew Oven roasted tomatoes make this tomato soup extra flavourful. 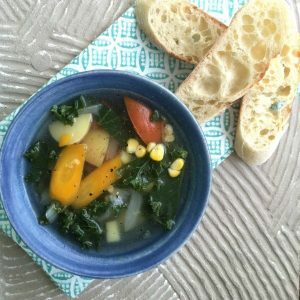 Head to the farmers’ market and get everything you need to make this market vegetable soup. 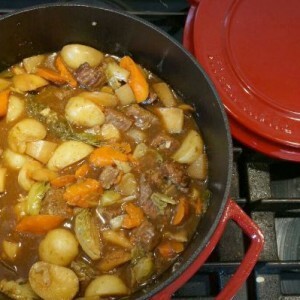 Polenta cakes and beef osso bucco – Sunday night stew Creamy potatoes and leeks combine to make a soup that the kids are going to love…don’t forget the cheese on top! 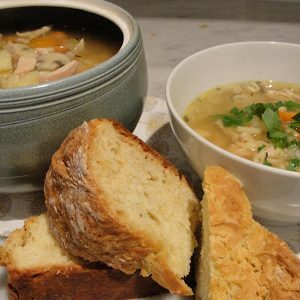 Put that store bought rotisserie chicken to good use in this chicken and pasta soup. 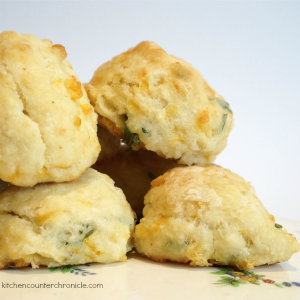 Or use up those holiday leftovers. 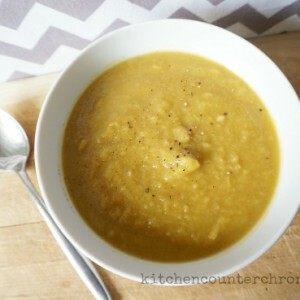 Butternut squash get a little kick from the addition of parsnips in this fall favourite soup. 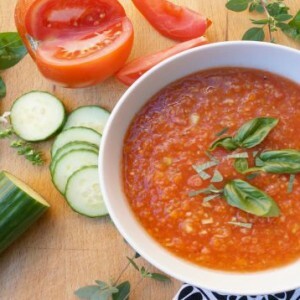 Summertime is the best time for a chilled bowl of gazpacho – totally kid approved. 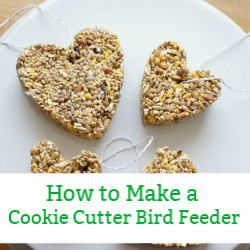 Don’t throw away those turkey bones and vegetable scraps. 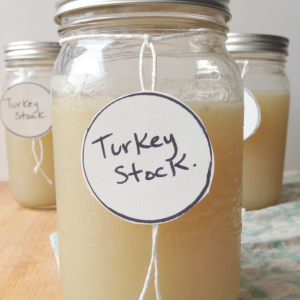 As a bonus this turkey stock makes a wonderful base for many more soups! Okay…what is your favourite soup? 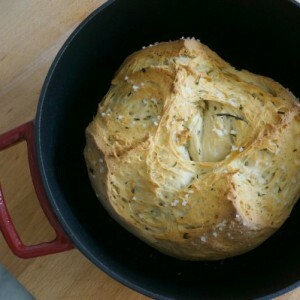 What soup are you hoping to try making?